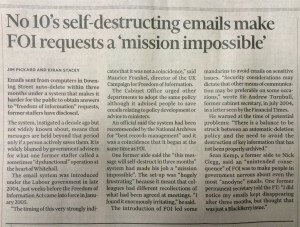 The Cabinet Office has a policy of deleting all emails after 3 months, which recently featured in a front page Financial Times story on June 17 2015. Under the policy, all Cabinet Office emails are automatically deleted after 3 months – anything needed for permanent preservation must be printed out and stored before this happens. 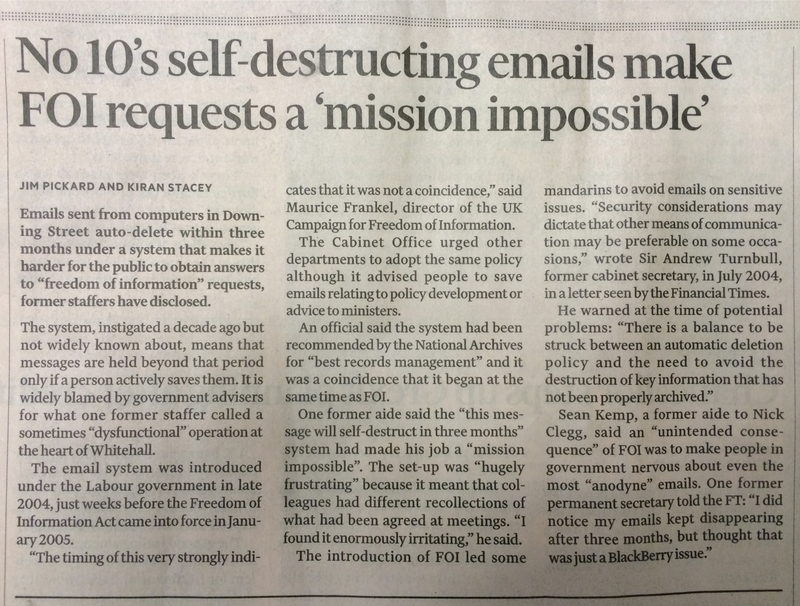 The FT reported on the frustration of some former officials and advisers over their disappearing emails. The Telegraph has reported that some other departments also automatically delete emails after a set time. It was suggested that the policy was an attempt to circumvent the FOI Act. The government maintains that it was merely good record management.